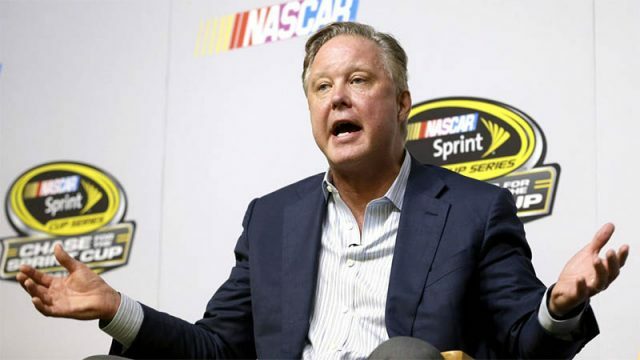 CEO and Chairman of NASCAR was arrested for DUI on Sunday evening in The Hamptons and cops say he was also in possession of the prescription pain killer Oxycodone, better known on the street as ROXY’S. Brian who is one of the most powerful people in professional sports, was initially stopped in Sag Harbor, NY (one of the most exclusive communities in the Hamptons) while driving a 2017 Lexus. Cops say he blew through a stop sign at 7:30 PM. After pulling him over the police report that he bombed his field sobriety testing, and refused a blood test. Police asked if he had a prescription for the Oxycodone in his possession and his reply was of course, however later found out that was not the case. Sources are claiming that the mogul was trying to play the celebrity card, even mentioning that he was best buddies with Donald J Trump. However, this did not sway the police in their decision to lock him up. We checked with our DUI defense attorneys in Overland Park and are being told there is several things you should do if you are stopped for a DUI, but the best thing you can do is not talk… “your rights are read to you during a DUI traffic stop for a reason”. Previous articleYOUNES BENDJIMA COULD BE THE DUMBEST MAN ON THE PLANET!